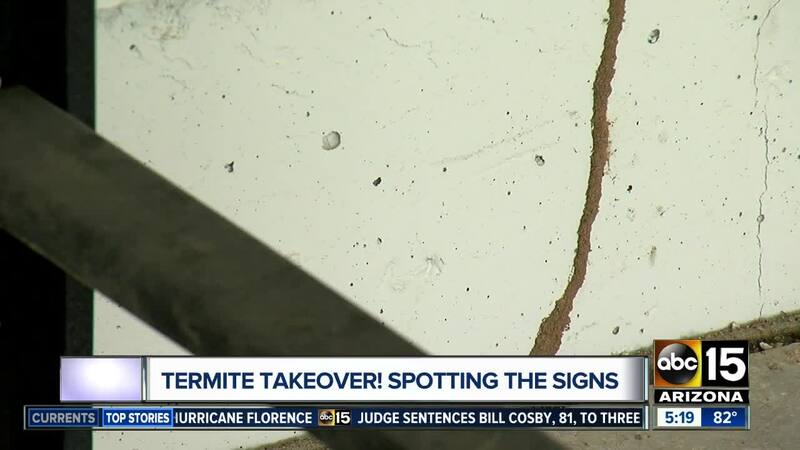 Termites doing expensive damage to Valley homes -- is your house protected? Do you know the signs of a termite infestation? If you don't protect your home, they could destroy it. The desert is full of all kinds of critters and one, in particular, could cost you a ton of money. It's peak termite season and the pests are looking to eat their way through your house. 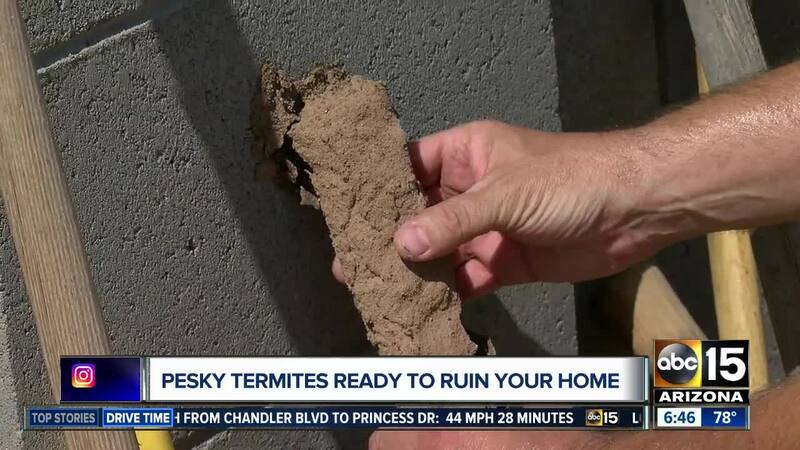 Experts from Urban Desert Pest Control recommend walking around your house looking for termite tubes against the walls coming up from the ground. They look like strands of packed dirt but its really a passageway for termites to work their way up from the soil and transport the wood they break down from your home back to the colony. You may see them near the front porch, back patio, inside the garage, even going after wooden handles on gardening tools. Chad Little says the biggest mistake homeowners make is ignoring the problem. He says one tube is as bad as 15 tubes. "The worst they could do would be structural damage. I mean, them consuming beams and jeopardizing the integrity of a wall or the entire house," said Little. He says all new homes should be pre-treated before construction and then you should call an expert to update the treatment every five years. Termites can also be hiding in plain sight around your neighborhood, masking a bouquet of tubes inside dry brush on empty lots. If you spot a cluster you should contact the Homeowners Association for your neighborhood. Read more about these costly pests and how to protect your home here .